Hi everyone! 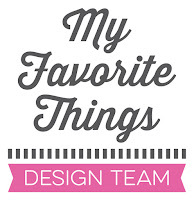 Today is the second day of the My Favorite Things November release countdown. This release is packed with amazing new products and I hope you’ll have fun with our preview projects! Most of the supplies I used for this project are linked in the list at the bottom of this post. I created a scene with the adorable dogs. I used the mirror stamping technique (Mirror Image stamp) for the dog on the left. The letters were die cut using the Stitched Alphabet Die-namics. The two hearts are from the Blueprints 32 Die-namics and the Stitched Heart STAX Die-namics. The soft patterned paper is from the Itsy Bitsy Polka Dots Pastel paper pack. Really cute card, Francine! You've done an amazing job with the mirror stamping technique and your Copic coloring is just perfect! I also love how you added a feminine touch to this card with the pastel polka dot papers and scalloped border...so sweet! Love the colouring on this sweet card. These pets are adorable. Thanks for the inspiration. Oh my ! That's just such a lovely card ! Absolutely adorable! Love the inspiration! An adorable litter of puppies! 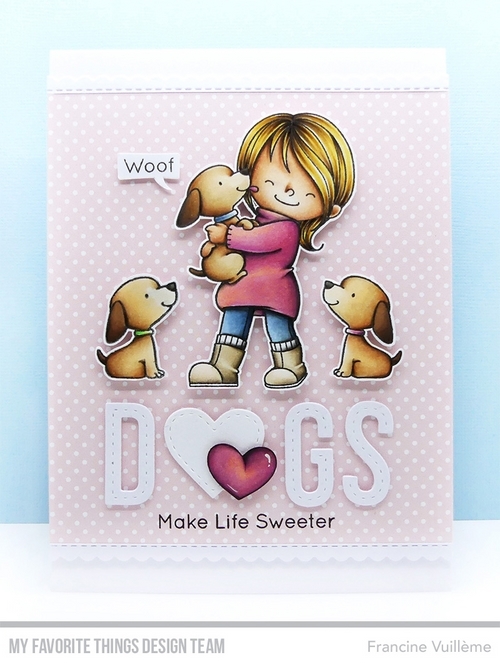 So much sweetness and love shown in your pretty card! I can feel all that love right here!! Perfect coloring!Adorable images and super cute outcome!Love it!